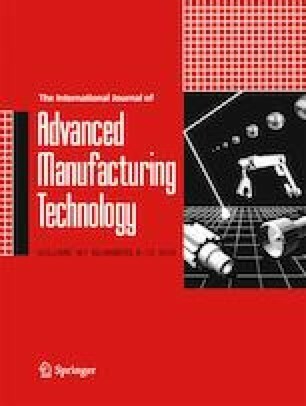 In this study, dummy technique is used to form pre-coated metal sheet via single point incremental forming (SPIF). The materials used in the experiments are widely used in the manufacture of non-stick molds and trays: Aluminized steel sheets are employed as substrate, and a polytetrafluoroethylene (PTFE) resin is utilized as coating. The influence of vertical depth, wall angle, and step size in the variation of coating thickness and surface roughness has been evaluated using a design of experiments. The results show that higher values of wall angle are associated to higher reductions in the coating thickness. On the other hand, an improvement in the surface roughness is appreciated in all cases, favored by the use of dummy method. Higher reductions in surface roughness are obtained when higher values of step size are programmed. The authors were supported by the University of Cordoba, which has funded this work through the Plan Propio de Investigación and the Tecnimacor Company for its collaboration in the coating of the metal sheets.